Originally posted on Vanishing Paradise. See original post here. 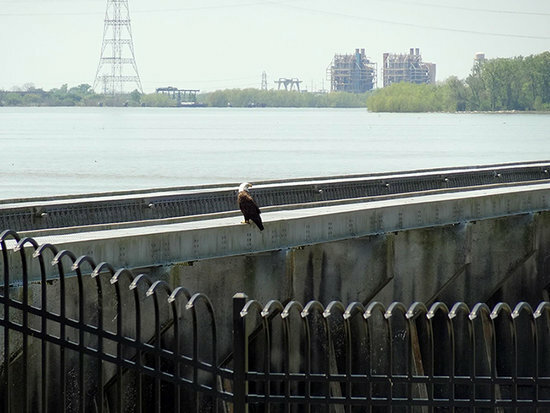 In January of this year, high water on the lower Mississippi River prompted the U.S. Army Corps of Engineers to open of the Bonnet Carré Spillway for the 11th time in its 85-year history. The Bonnet Carré Spillway doesn’t just help lower water levels pressing against the flood protection levees, it’s also a thriving wilderness area that benefits from the periodic opening of the spillway structure and the sediment and fresh water it brings. Despite initial concerns from redfish and speckled trout anglers when the spill way was opened, the additional sediment and water did not push fish from Lake Pontchartrain. Anglers had successful runs throughout the spillway’s opening, as the fish enjoyed the brackish environment the lake offered. 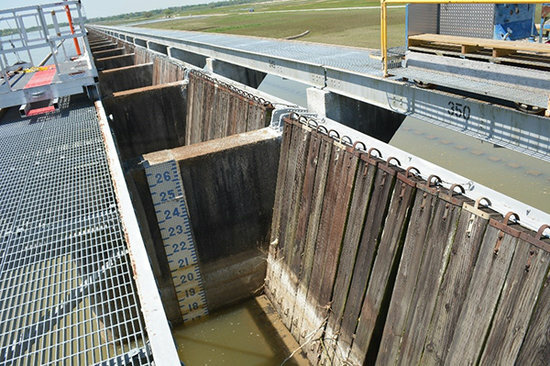 By understanding the history of this structure and the mechanics of its operation, we can better understand the implications of the introduction of river water and sediment into nearby fish and wildlife habitat. Built in the aftermath of the devastating 1927 flood, urgency saw this 350-bay structure designed and built in just two and a half years. When the Mississippi River above New Orleans is in flood, this floodway can divert up to 250,000 cubic feet of water per second and sometimes more. That’s enough water to fill almost 3 Olympic size swimming pools every second. The water flows from the Mississippi River across the spillway and into Lake Pontchartrain. When the spillway is opened, water and some sediment is pulled off the top of the river and a portion of this sediment is deposited within the spillway. Fresh water also leaks through the timbers of the structure into the spillway when the river stage reaches more than 15 ft. This periodic introduction of fresh water, sediment and nutrients simulates the natural flooding of the river that once built and help maintain much of southeast Louisiana before levees were constructed. 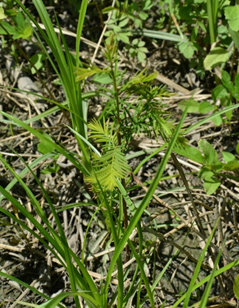 Sediment deposition in the spillway can be seen in sediment cores and with the presence of natural cypress regeneration – a rare sight in most swamps in the region. Cypress regeneration in the spillway swamps. Since the spillway only pulls water off the top of the river, and there is typically less sediment at the surface than there is at deeper depths, less sediment moves through the spillway compared to water. This makes the Bonnet Carré different from the planned sediment diversion projects which will be located, designed and operated to maximize sediment capture. However, the periodic introduction of fresh water and some sediment benefits the habitats of the spillway, including bottomland hardwood forest, grasslands, ponds and cypress swamps. The productive habitats of the spillway support an abundance of wildlife, including gray squirrels, whitetail deer, swamp rabbits, alligators, wood ducks, mottled ducks, crawfish and a wide-range of finfish. With more than 7,600 acres of public lands, the Bonnet Carré Spillway provides opportunities for fishing, hunting, camping, boating, cycling, horseback riding, ATV riding, and many other recreational activities. 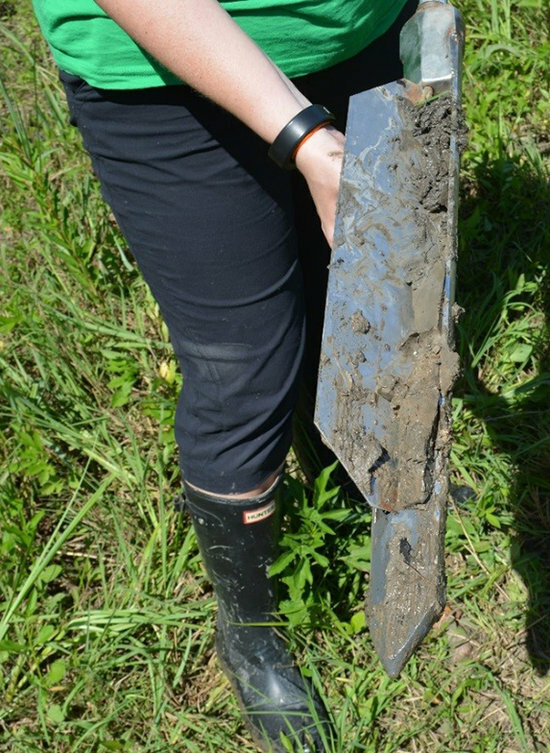 A sediment core from the shows clay deposition in the spillway. Alisha Renfro is the staff scientist for the National Wildlife Federation’s (NWF) Mississippi River Delta Restoration program. Based in New Orleans, she provides accurate scientific information to help advocate for the best coastal restoration projects for Louisiana. She also helps translate scientific information for the Mississippi River Delta Restoration Campaign’s public outreach and communication efforts.